French car production increased 4.7% in 2014, and this rebound accelerated in 2015, with a production increase of 8.7%. In 2016 production growth of 5% is expected. 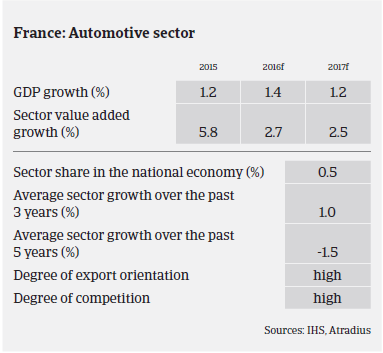 French car makers benefit from increased domestic and international demand. Domestic car sales increased 12.4% in 2015, and this surge continued in H1 of 2016, with new passenger car registrations rising 8.3%, according to the European Automobile Manufacturers Association (ACEA). As a consequence, French automotive businesses recorded increasing revenues over the past 18 months. Revenues of automotive subcontractors and suppliers are expected to grow 3.5% in 2016 after increasing 3.8% in 2015, and their business confidence remains high. Average Earnings Before Interest, Taxes, Depreciation and Amortisation (EBITDA) increased 4% in 2015 after rising 0.7% in 2014. Automotive suppliers still benefit from lower prices for raw materials and energy costs. While automotive businesses’ profit margins have generally increased due to the global car market upturn, suppliers´ margins remain structurally under pressure, as the powerful car manufacturers demand greater productivity, coupled with lower prices. While car manufacturers´ equity is still quite strong, suppliers’ equity is much weaker. In order to preserve turnover and margins, many French suppliers have no other choice than to stay close to their buyers, i.e. they have to follow large car producers overseas, as original equipment manufacturers (OEM) tap dynamic markets and/or outsource their production facilities to places with lower production costs (e.g. Eastern Europe, Turkey, Morocco). Meanwhile, French suppliers generate 50% of their turnover abroad. This necessity to go overseas requires high investment and restructuring measures in order to cope with new market environments. At the same time, the supplier sector is a capital intensive segment, requiring sizeable finance for new investment and restructuring and high working capital. While banks were rather unwilling in the past to provide credit to the automotive suppliers subsector, the current rebound has facilitated increased access to bank loans. 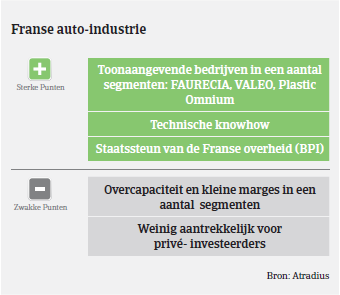 On average, payments in the French automotive industry take 60 days (end of month) and timely payment is important in this sector, with few protracted delays. We do not expect any fundamental increase in payment delays in the coming months. 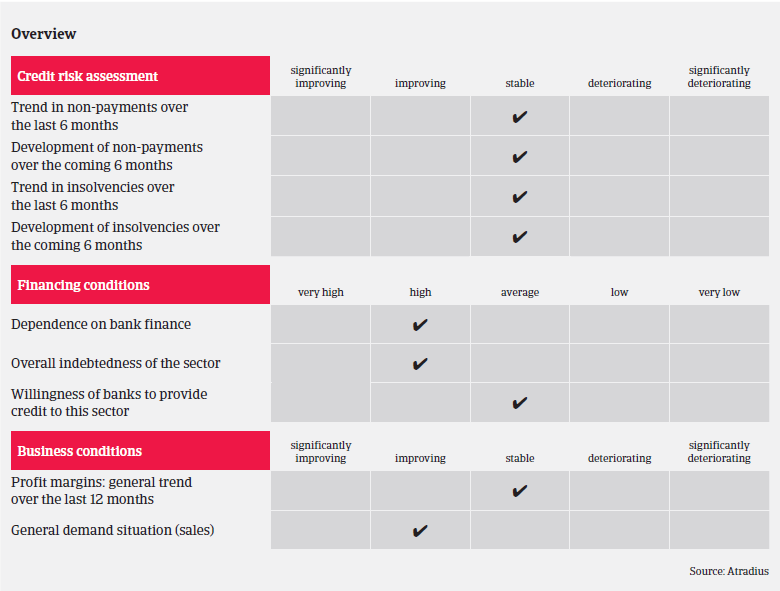 Nor do we expect insolvencies in the sector to increase in the short term. The default rate is in line with the overall trend in French business insolvencies, where business failures are forecast to level off in 2016. Given the solid performance and the positive business outlook, our underwriting stance for the French automotive industry is open. However, as in 2015, we continue to closely observe some weaker players who rank second or third in the subcontracting chain, especially smaller suppliers engaged in foundry work, small stamping and/or producing items with low technology requirements. Businesses in those segments remain susceptible to higher risks, as the trend to outsource production overseas and high competition from foreign companies has led to overcapacity.